Are you worried about your hair falling out unnecessarily? is it brittle or thinner than you would like it to be? or, have you tried so many other nutritional supplements, but found no success? fear not, selecting the right supplement helps nourish your hair from the root to the top resulting your hair grow faster, stronger, longer, and thicker. 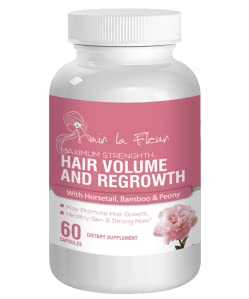 Introducing Hair La Fluer, a healthy hair growth supplement. Hair La Fluer is recommended as one of the best hair growth supplements worldwide, for both men and women, of all hair types. 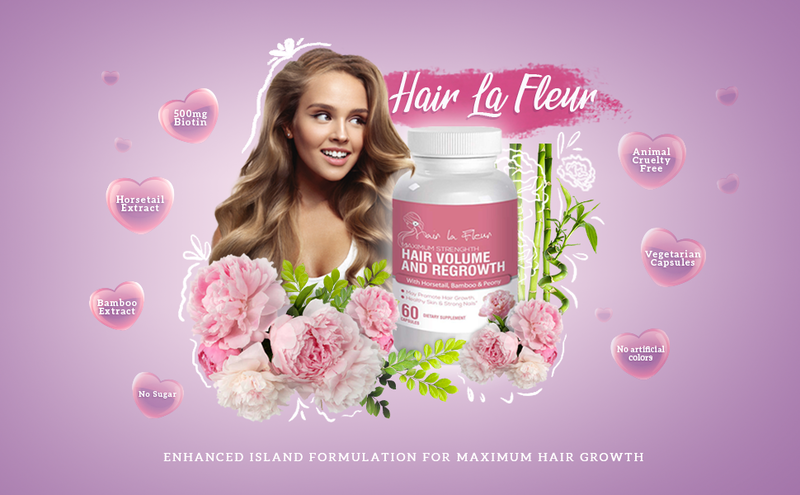 HAIR LA FLUER MAXIMUM HAIR GROWTH ISLAND FORMULATION WITH HORSETAIL, BAMBOO AND PEONY EXTRACT. 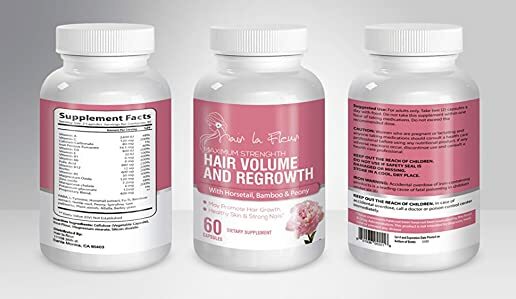 This enhanced formula includes 20+ fast absorbing nutrients such as enhanced 5000 mcg Biotin, Horsetail Extract, Saw Palmetto, Bamboo Extract, Collagen and other natural Ingredients, which act synergistically to give more significant results in less time.It does not just work on your hair to grow, it makes your hair grow long and strong. A few weeks of consistent supply ensures less hair breakage and fall out, increase hair growth and finally, you will enjoy longer, thicker, shinier and more nourished hair. Prevents hair pattern baldness and thinning. Manufactured in a FDA compliant modern facility in the USA under GMP quality control. HAIR LA FLUER NOURISHES YOUR SKIN FROM THE INSIDE AND PROMOTES STRONGER NAILS. As an added bonus Hair La Fluer nourishes your skin from the inside and promotes stronger nails for more youthful, glowing and radiant complexion. Our hair formulation has been used by Island Women to maintain their lush healthy hair and glowing healthy skin. Need more reasons to choose our nutritional supplement? 100% safe and no harsh chemicals are included. 60 veggie capsules. Just consume 2 capsules per day with food for longer, stronger and healthier hair. Vitamin D, Niacin, Vitamin B6, Vitamin B12, Biotin, Magnesium, Zinc, Copper, Saw Palmetto (Berry), MSM, Amino Acid Blend, Horsetail (Whole Herb), Bamboo Extract, Collagen, Eleuthero (Root), Uva Ursi (Bearberry), Gotu Kola, Muira Puama (Root and Bark), Pumpkin Seed Powder and more.